Accept a multitude of credit and debit cards, eWallets as well as web-banking payment methods in your PrestaShop shop with no big effort. In addition to the license of unlimited duration, you receive 12 months access to our updates and upgrades as well as support by phone or mail. A complete overview of all the features can be found in the detailed product description. As official software partner our modules are explicitly recommended by CM Payments. 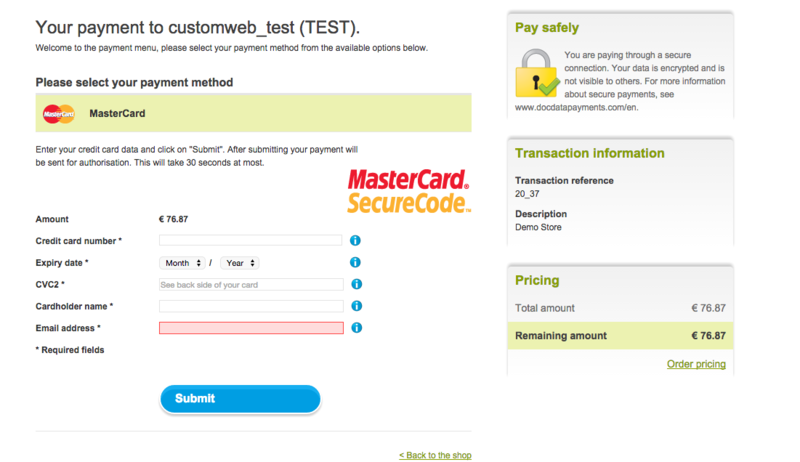 The PrestaShop CM Payments Payment Module supports the authorisation method Payment Page. With Payment Page, the completion of payment occurs on the redirected Payment Page of CM Payments (with an integrated mobile dection). This authorization method is fully PCI DSS SAQ A compliant. Make use of the CM Payments potential in your PrestaShop shop. Your customers profit from numerous national and international payment methods.In addition to credit cards the payment portfolio also includes debit cards, eWallets and online wire transfers. A detailed list of the supported payment methods can be found here. In order to ensure a PCI-compliant processing of your payments you can either use a form based handling or alternatively a payment page embedded into your shop. CM Payments Payment Extension also supports capturing, cancellation and refund. This means that you can process payments directly from the administration interface of the shop and no longer have to log into CM Payments. This simplifies the payment processing a lot. Further information on the transaction manager can be found under payment processing (see below). Due to the integration of the Alias Manager the customer's order process is greatly simplified. Once the credit card data has been entered it can be saved for later purchases. The storage occurs with CM Payments and is therefore fully PCI-compliant. With CM Payments all payments are processed via Payment Page. The customer is thereby redirected to CM Payments but within the integrated solution of an iFrame. 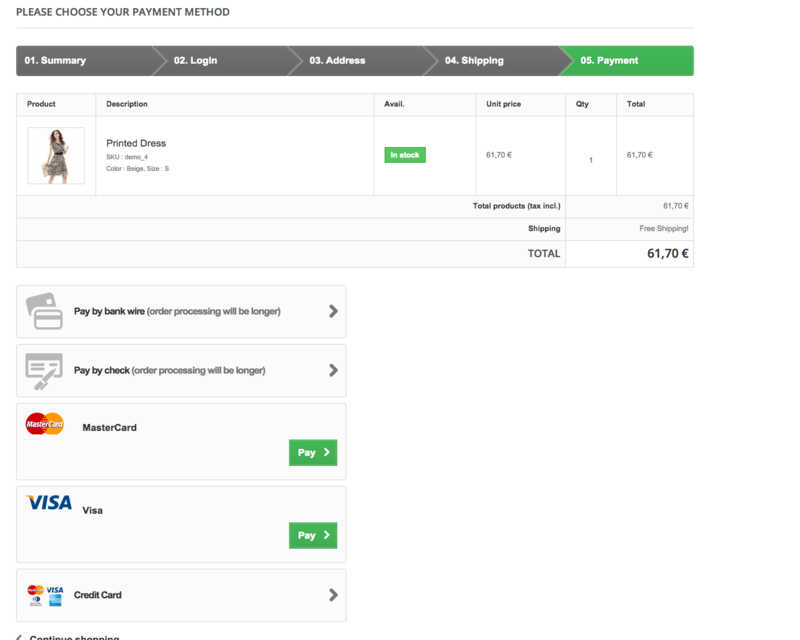 Convince yourself and check out the PrestaShop CM Payments module directly in our demoshop with a live-version. To do so just click on Demo further below. The cart is saved during the session. In case of a cancellation or error during payment the shopping cart remains unchanged. After having confirmed the order the customer is transferred to the Payment Page of the PSP where he then enters the payment data. Once the payment has been effected, the customer is redirected to the merchant page. Difference to Dynamic Template: The customer clearly sees that he has left the merchants website. Difference to Hidden Authorisation: The customer is transferred to the PSP to enter his payment data in comparison to entering it in the shop. With this feature you can accept and create mail or telephone orders (MoTo) by entering the payment data in the shop back-end yourself.